Our products | Hitelpont Zrt. 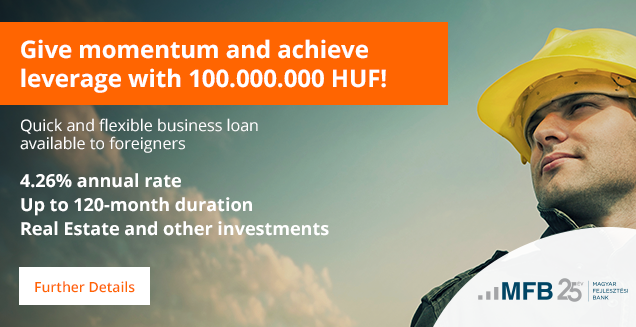 Up to 100.000.000 HUF, available for new businesses! Up to 50,000,000 HUF to small companies, with fixed instalments, 6.5% APR, 10-year term, and no penalty for early repayment. Predictable loan with 6.5% APR, 3-year term, and no penalty for early repayment. Can also be used to purchase merchandise, raw materials, or consumables. Egyben támogatás és hitel kisvállalkozásoknak, akár mindössze 10% önerővel. Can we help you choose? If you do not know which product to choose, our colleagues will help you. We will only notify you as new products become available! Calculate the conditions for a loan! Be amongst the first to discover our new products! Administration simply, quickly, online. Click here for details! What happens from application to disbursal? Do not miss anything, read our latest news! 1022 Budapest, Alvinci út 16.